Most major casino groups saw their shares rise overnight as Japan’s Prime Minister, Shinzo Abe, announced plans to pass a law legalizing gambling in Japan. Japan’s Prime Minister announced plans to legalize gambling, which sent casino stocks on an upward trend. Prime Minister Abe is hoping that by legalizing casinos, it will boost tourism even before the 2020 Tokyo Olympic Games. The tourism will help lift the stalling Japanese economy by investment and contributions to the region. Many of the larger players in the casino industry, including Las Vegas Sands Corp (LVS) and MGM Resorts International (MGM), have already shown strong interest and intend to invest billions of dollars into Japan if the law comes into effect. 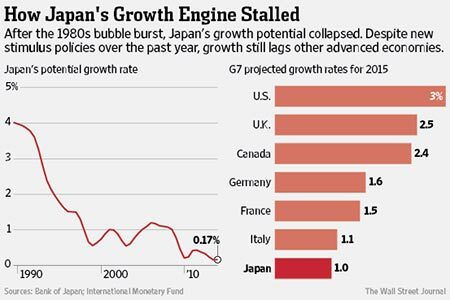 Japan has seen a substantial decline in their economic growth over the last 15-20 years from an annual 4% growth down to a current measly 0.17% in recent years, putting them at the bottom of the G7 nations for 2015 projected growth. The Japanese parliament will vote on the proposal to legalize gambling in the next parliamentary session to be held in August 2014. Other casino stocks that rose on the announcement of the news included, Melco Crown Entertainment (MPEL), Wynn Resorts (WYNN) and Caesars Entertainment (CZR).